District 3 is working to ensure that Ohioans keep moving safely, even when snow and ice blankets our state. A winter storm warning is in effect from midnight tonight to 10 am Sunday. Heavy snow is expected with the heaviest snowfall predicted during late morning, early evening Saturday, January 19. Our dedicated drivers set the standard for snow and ice control. We work hard to clear the roadways as quickly as possible. Our goal is to have the speeds on primary routes back to normal within two hours of a storm. Last winter, we hit that goal 97% of the time.Why is that important? We want to ensure each trip is as safe as possible. 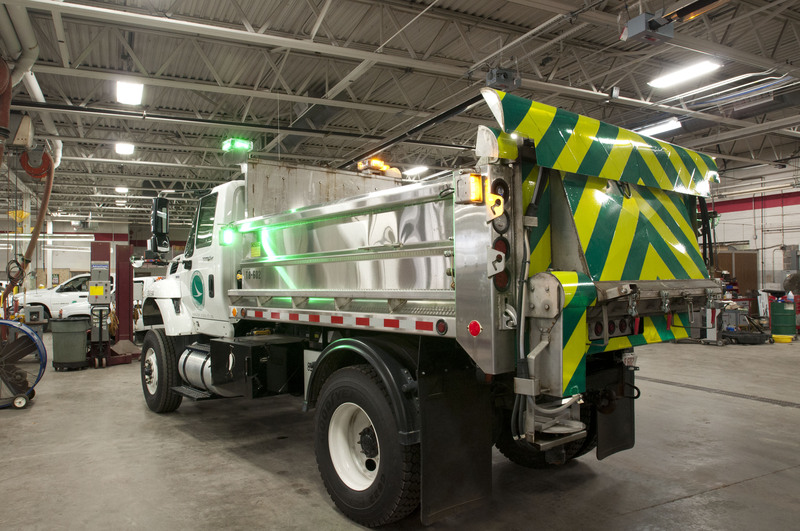 District 3 will be fully staffed, with more than 110 crews maintaining routes in all eight of our counties. Drivers will work 12 hour shifts around the clock until the storm has ended and the roads are clear. Road conditions and visibility can change quickly, so be sure to pay close attention and slow down when conditions change. Give our crews plenty of space. Plows typically travel at slower speeds and can make sudden stops and turns. They often create a “snow cloud” which can reduce visibility when driving too closely. Remember, in ice and snow, take it slow! Be extra alert, especially when snow is still falling. While we have more than 1,600 plow trucks on the road statewide, we can’t be everywhere all the time. Heavy snow is difficult to keep up with, so plan ahead and allow for extra travel time during and immediately after snow events.